Stops bolts up to 430 FPS! 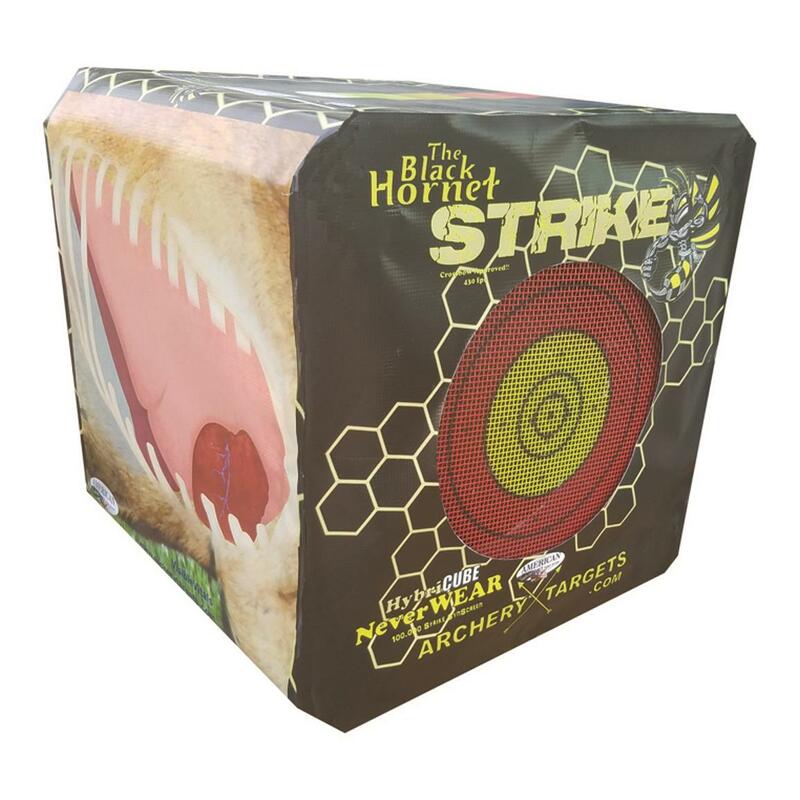 20"l. x 20"w. x 20"h.
Designed with the crossbow hunter in mind, the Black Hornet Strike Archery Target features 5 shootable sides and will stop bolts up to 430 FPS. Compact, lightweight design makes it easy to transport. 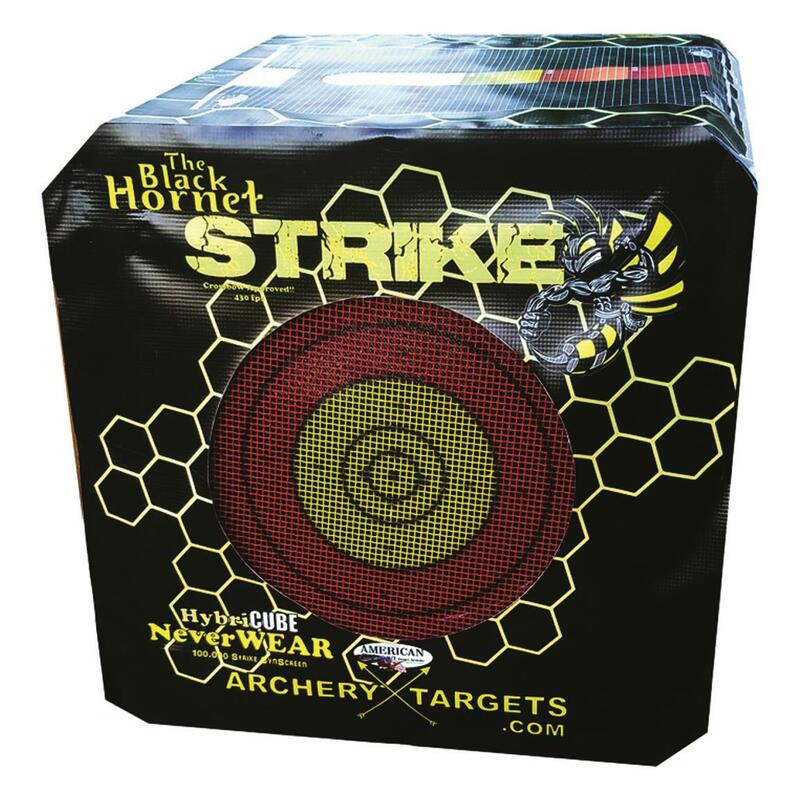 Dimensions: 20"l. x 20"w. x 20"h.
Black Hornet Strike Archery Target is rated 3.0 out of 5 by 1. Rated 3 out of 5 by Steve w from Not worth the price I purchased this block approximately 3 months ago, using a compound bow with 60# pull and strictly field points. The never wear mesh allows for easy extraction of the arrows but don't miss the target and hit around the seams cause you will have a heck of a time removing your arrows. As for the quality of the never wear mesh i was quite disappointed already the glue for the mesh has let go and the inners ofthe target are exposed. Lets be honest the never wear mesh was the reason for this purchase, highly disappointed. However the rest of the target is holding up well as expected. Due to the premature wear of the mesh i would not recomend this product.